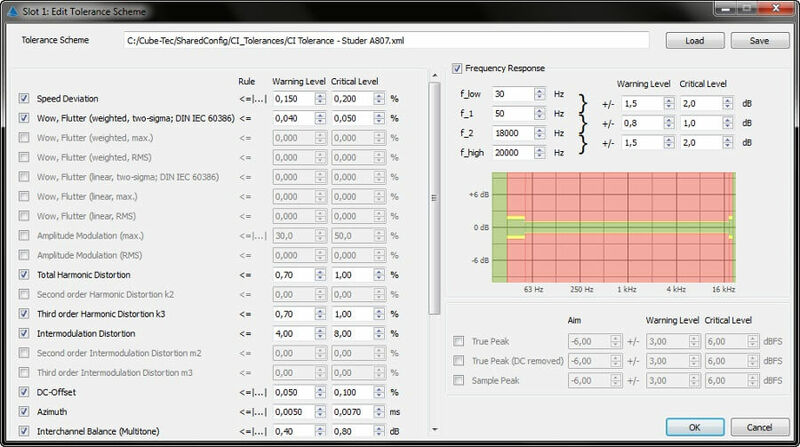 Once you have created a tolerance scheme for a specific device, it is very easy to keep track of the condition of your playback devices, because you can use this scheme over and over again without ever losing control of your gear's condition. From now on Calibration-Inspector can recognize any changes occurring in the condition of your machine(s), according to the specifications defined in the tolerance scheme. 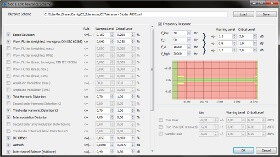 You can either use one of the predefined tolerance schemes included with the software, or define your own tolerance schemes tailored to your personal needs using the tolerance editor. 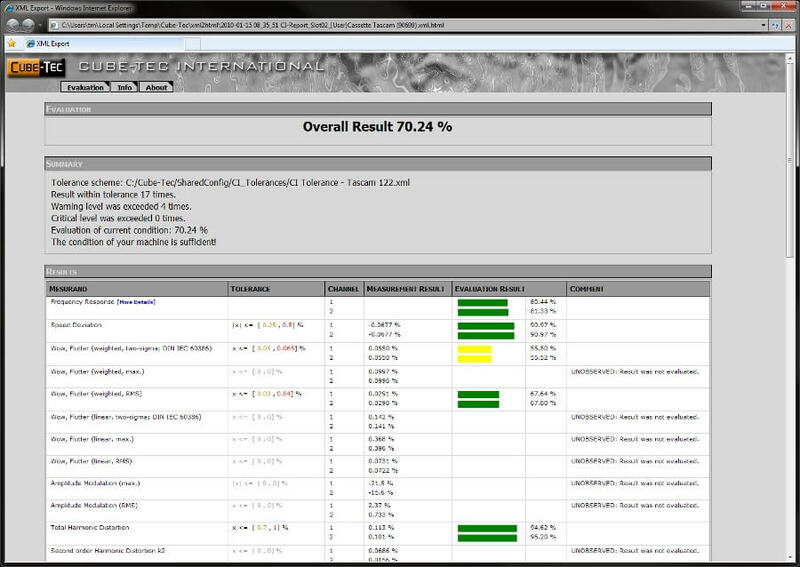 Simply start the assessment process with a single click and let Calibration-Inspector automatically analyze your machines and evaluate their performance. After each analysis a report will be created, containing detailed information about the condition of your playback devices. 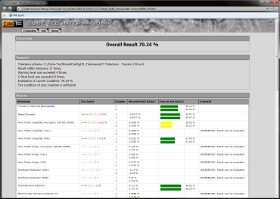 View the report in your webbrowser to get a quick overview of how your machines perform for the different measurement parameters or specifically search for the parameters where your machines fail.